Live webcams from around the world! An extensive collection of live webcams, featuring the most exciting real time views from all around the world. 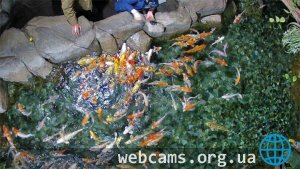 Live webcam transmits a pond with carps of Oceanarium «Sochi Discovery World Aquarium» in Sochi in real time. 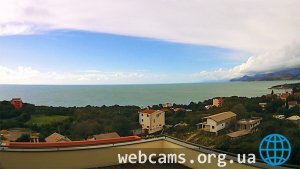 Live webcam is set in apartments «Utjeha» in Montenegro. The camera translates photos overlooking the Adriatic Sea and the surrounding area. 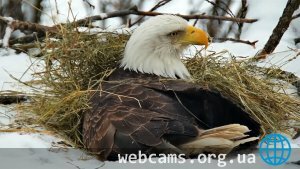 Live PTZ webcam installed at the nest of bald eagles north of the city of Decorah, Iowa, USA. 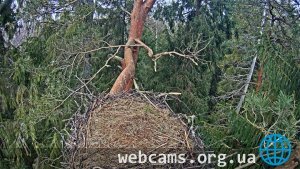 The camera shows in real time a view of the nest, which is placed on a large white oak tree. This webcam is periodically controlled by an operator who tries to show the live broadcast to the audience the most interesting things that happen in the life of these birds of prey. 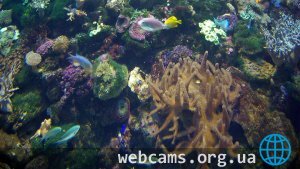 Live webcam submits the coral reef of Oceanarium «Sochi Discovery World Aquarium» in Sochi. Webcams are installed everywhere: on the streets, in the hotels, on the promenades and the beaches, shops, airports, train stations, etc. Biysk, Sochi, Moscow, Saint Petersburg, Petrozavodsk, Sevastopol, Krasnoyarsk, Saratov, Nizhnevartovsk, Yaroslavl, Novosibirsk, Krasnaya Polyana, Kerch, Kemerovo, Kondopoga, Kirillovka, Odessa, Alushta, Adler, Gagra.